3,500 delegates attending this year’s Mobile World Congress will be offered a Sony NFC phone they can use to make payments across the Fira Gran Via venue, at 16,000 Barcelona merchants and in 700 taxis equipped to accept NFC payments. CaixaBank, Gemalto, Telefónica and Visa Europe have partnered to offer 3,500 delegates attending the Mobile World Congress in Barcelona next week a Sony Xperia NFC phone equipped with a mobile payments application. The app, developed by Telefónica Digital, will allow delegates to make mobile contactless payments using a prepaid card issued by MoneyToPay, a new mobile payments service created by CaixaBank. The app will come pre-loaded with €15, allowing delegates to make payments at contactless terminals across the Fira Gran Via venue as well as any of the 16,000 Visa contactless payment terminals located in stores and markets around Barcelona. 700 local taxis have also been equipped to accept NFC payments. The payments service forms part of the GSMA’s NFC Experience for the Mobile World Congress, which will see a series of NFC zones and touch points being set up at the show venue as well as at the airport, key hotels, selected restaurants and central tourist locations. 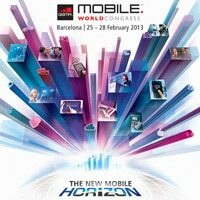 • The Mobile World Congress will be held at Fira Gran Via in Barcelona, Spain, from 25 to 28 February 2013.